A: Our standard lead time is 3-4 weeks. We cannot guarantee a specific shipment date within that time frame, so we recommend planning for the full 4 weeks. Q: Why is your lead time so long? A: All of our items are handmade to order, and we take special pride and care in making sure that each and every one of our items is perfect! A: No problem! We accept rush orders for a small additional fee of $40, which guarantees that your item will ship within one week of purchase. All rush orders must be approved before the order is placed, so please email us at hello@emmakatzka.com to inquire before ordering! A: Because all of our items are handmade to order, we do not accept returns unless something arrives damaged. However, we love advising our brides - if you have any questions, please don't hesitate to reach out and let us guide you! Q: My piece looks a little different from the photo on your website. Why? 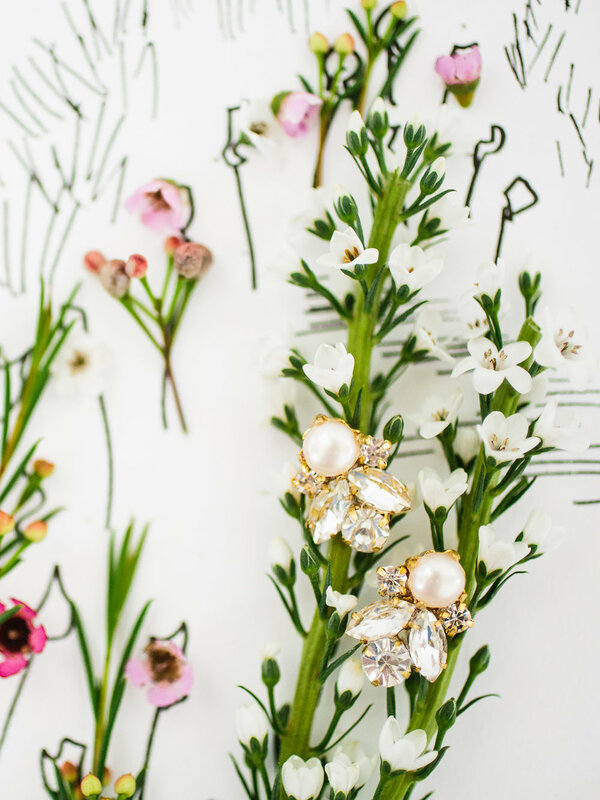 A: Because everything is handmade by Emma herself, and many of our pieces use natural materials such as quartz or freshwater pearls, each piece will have slight variances and no two pieces will be exactly the same. We do our best to make sure that everything looks as close as possible, but we're only human! Q: Can I try something on in person? A: Yes! Check out our Stockist page for a list of all of our retailers, and be sure to call them to make sure they carry the piece you're interested in. You are also welcome to make an appointment at our studio in Charleston, South Carolina by emailing us at hello@emmakatzka.com to try on as many pieces as your heart desires.